Celebrated Charleston guitarist Lee Barbour leads local jazz ensemble, Le Pumpe Gypsy Jazz Band. 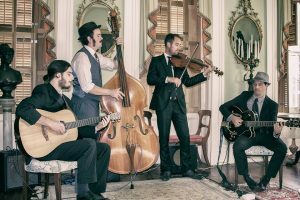 Including bass, violin and drums, the group weaves Gypsy Jazz, Gypsy Swing, Blues, Indie Jazz and Rock into a brilliant instrumental performance. 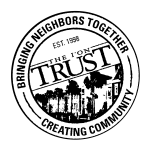 Lee Barbour has been featured in Jazz Times, Spin magazine as well as The New York Times. Check them out HERE for a quick preview.